Baby Rainbows 2 is a still life oil painting by Joe Enns. The painting is from and underwater photo taken by Joe of juvenile Rainbow Trout (or Steelhead) in a tributary stream of the Okanagan River in British Columbia. 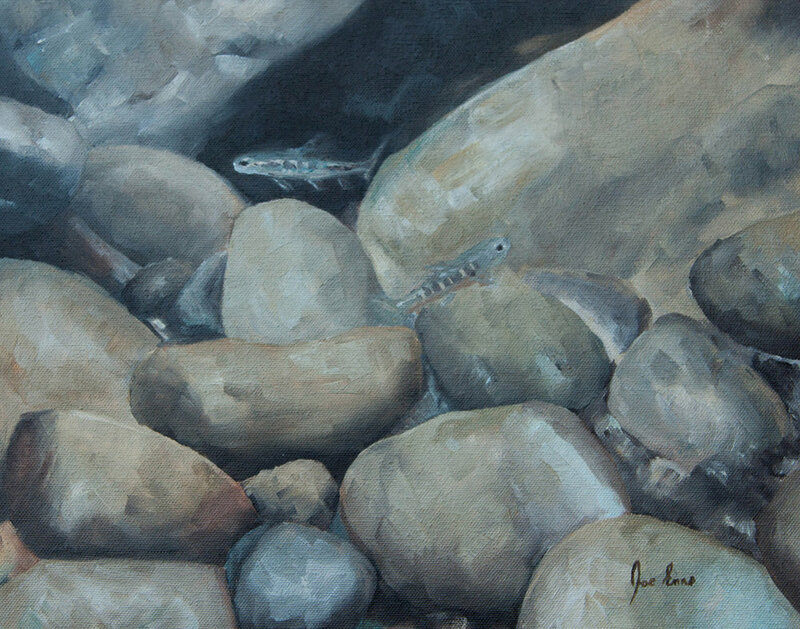 "Baby Rainbows 2" is a still life oil painting done from an underwater photo taken by Joe of juvenile Rainbow Trout (or Steelhead) in a tributary stream to the Okanagan River in British Columbia.